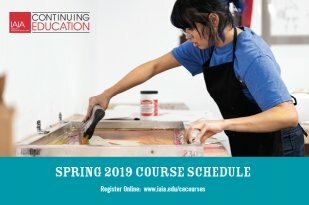 Institute of American Indian Arts (IAIA) Continuing Education (CE) is committed to providing comprehensive training and adult education for the advancement and growth in workforce skills, lifelong learning, and empowerment through community-based learning opportunities. IAIA CE works with Native organizations, tribal communities, and individuals around the country through our CE educational and training offerings. This can include many formats including courses, workshops, training sessions and through conference and symposia. We offer flexible scheduling, affordable cost and experienced instructors available. These opportunities are available at the IAIA campus, online and with tribal and urban communities around the country. IAIA CE formally recognizes learning by electronically issuing Continuing Education Units (CEUs) and IAIA Badges to participants as a record of non-credit educational and professional development activities that have been completed. CEUs are utilized nationally and internationally to formally recognize professional competencies and training and are measured by contact learning hours. CEUs are also offered for educational programming presented by external organizations across the country. For example, organizations such as the National Indian Education Association partner with IAIA CE to provide CEUs to participants at their national convention and training events. IAIA CE Badges are also a means to recognize learning and can be utilized in CV/resumes, posted to social media and shared across online platforms. IAIA recognizes accomplishments by issuing CEUs and Digital Badges to participants that have completed CE related learning opportunities. CEUs and Digital Badges are also offered for educational programming presented by external organizations across the country. CEU transcripts can be provided upon request. A digital badge is a visual online representation of your accomplishment that demonstrates that you have obtained the skills and knowledge associated with your learning. A digital badge can be shared on social media (Facebook, Twitter) and placed directly on your resume or ePortfolio. If your organization would like to partner to provide CEUs and Digital Badges at your training events, please email continuinged@iaia.edu or call (505) 424-2308. Do you have an idea for a IAIA Continuing Education course? Please fill out the form to share your idea with Continuing Education! Do you have expertise in a specific area that you would like to share? IAIA Continuing Education is regularly accepting applications for new instructors. Qualifications include prior teaching experience as well as certification (in some areas).